Are you ready to own a piece of Williams Island history? The 4000 Building was the first luxury residential building to be built on the island, as it was completed in 1985. Those who purchase condos in this high rise are able to enjoy the knowledge that they own a piece of the history of the luxury island community. Yet, with a complete redesign and renovation in 2013, the building remains beautiful and modern, making an excellent choice for a number of buyers. From the dramatic lobby and beautiful homes to the ideal location on the Intracoastal Waterway, this building continues to offer the distinctive type of home that has characterized Williams Island since its inception. The 4000 Building may have started the phenomenon of Williams Island, but it did so in style. If you choose 4000 Williams Island for sale units for your next new home, you will find that the community has amenities that rival any luxury resort. This means you can enjoy the feeling of a true vacation experience all year long. As you enter the building through the impressive lobby with its stunning water feature, you will be greeted by a bellman who knows your name. Take advantage of the 24-hour drive-up valet service to ensure your car is parked without a hassle, and tip your hat to the 24-hour security that helps keep your building secure and safe. As you walk into your condominium, take the time to appreciate the view out of your unit’s windows. Whether your home overlooks the Intracostal Waterway or the city, you are guaranteed a stunning vista. Perhaps you will pour a glass of wine and head out to your private balcony, with its glass rail, to take in the view while you unwind from a busy day. Enjoy the fresh sea air as it comes into your home. Each unit is equipped with its own appliances, including laundry appliances, so everything you need for your daily life needs is at your fingertips. Interestingly, 4000 Williams Island for sale units span a range of floor plans to fit most lifestyles and budgets. The 182 residences in the building include everything from cozy one-bedroom studios all the way to six-bedroom penthouse suites. With square footages ranging between 1200 all the way up to over 8,000 square feet, the opportunities in this building are quite varied. Of course, the luxury of these condos extends past the units themselves. As a resident of 4000 Williams Island, you will be able to enjoy the community’s library and billiard room, ping-pong room and media room, complete with big screen TV for screening your favorite shows and movies. Should you wish to host an event, head to the party room, which has a full kitchen to accommodate your needs. Men’s and women’s card rooms are a great place to meet up with your neighbors over a game of cards. A heated pool and Jacuzzi, which have their own pool attendant and complementary towels, round out the offerings of this community. From the luxurious finishes of the individual units to the amenities of the community, 4000 Williams Island has something special. 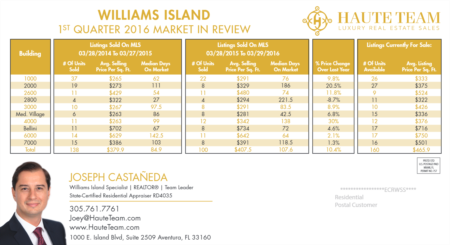 Consider putting this community on your list as you search for the perfect home on Williams Island. Should you purchase 4000 Williams Island for sale condos, you will immediately gain access to all of the amenities of Williams Island. Take advantage of the offerings of the Island Club, which features an exceptional spa, cutting edge fitness center and excellent dining options, all within the Williams Island community. Try your hand at tennis at the Tennis Club, which has a number of court types for you to explore. The community boasts a playground and a dog park, and a paved path around the perimeter of the island is often filled with community members enjoying the beautiful climate and getting some exercise. Of course, life on the water in South Florida would not be complete without a marina. You will find a place to dock your boat in one of the many marinas throughout Williams Island, with over 100 slips available for your boating needs. Enjoy your boat any time you want by docking close to your luxury condo. Maybe golf is your sport of choice, rather than water sports. Not to worry, because Williams Island has a partnership with the Diplomat Golf & Country Club in nearby Hallandale Beach. By purchasing a unit in 4000 Williams Island, you can hit the links whenever the fancy strikes, taking advantage of the ideal South Florida climate. While Williams Island has just about everything you need for comfort and enjoyment, sometimes you may find that you wish to venture into the larger community of Aventura for some shopping, dining or other fun. A 4000 Williams Island condo will position you well to enjoy the South Florida lifestyle of this region. Head to the beach at Sunny Isles Beach, which is just a short drive from Williams Island, or head into Aventura to do some shopping at the luxury retailers of Aventura Mall. Miami and Ft. Lauderdale are not far from the community either, and they boast nightlife and dining options for just about any taste. When you are done enjoying this area, your 4000 Williams Island condo is ready to welcome you home. Are you intrigued by the history and offerings of 4000 Williams Island for sale condos? This popular community frequently as units available, but they do sell quickly. Finding the right real estate team to partner with you as you search for the right condo is going to be the key to your success. 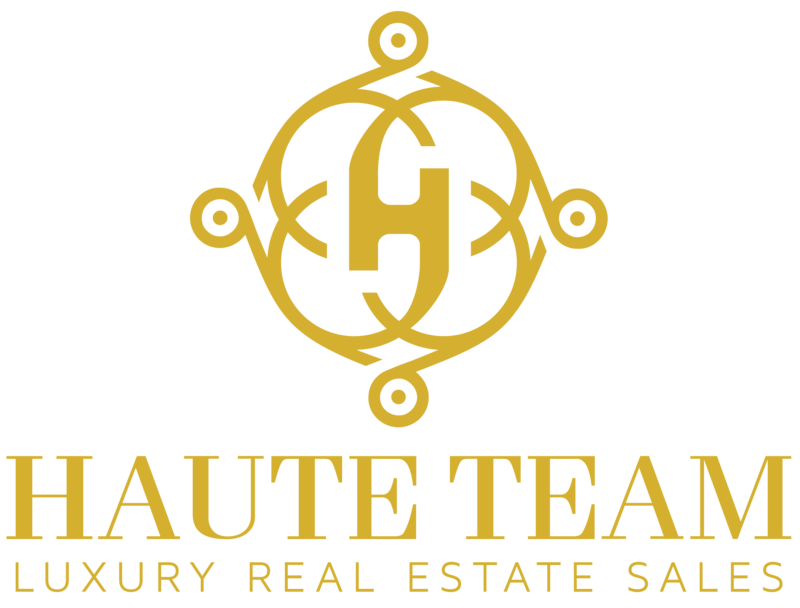 The Haute Team knows Williams Island and the 4000 Building well, and we can help you be well positioned to negotiate the right purchase price. Contact us today to start looking for 4000 Williams Island for sale units that will meet your needs!